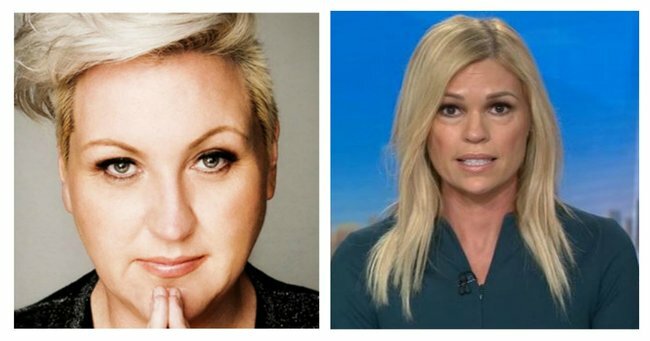 Meshel Laurie Sonia Kruger: the fall out from controversial comments. I made the mistake of reading the comments on the radio station website about my Sonia Kruger comments over the last couple of days. I was at pains to say I don’t think she’s stupid, or a bad person. She’s scared, as are we all. I then presented reasons why she doesn’t need to be fearful of Australia’s Muslim community, and pointed out that the biggest threat to Sonia, and the rest of us Australian women, is Australian men, who murder us at a rate of one a week. Don’t take my word for it though, by all means, seek out the analysis of experts – there’s plenty of it for those of us who are interested. I made the point that Sonia has a right to free speech, but none of us has a right to live free of consequences for what we say. Freedom of speech is not freedom spread hate, fear and misinformation without consequences. I can handle consequences, but the snarky accusations that I’ve said things I haven’t really gets me down. “We should be able to have the conversation,” they always say when challenged, but to that I say that I need my conversation to be based on facts, and I’m not willing to accept the testimony of famous racist liars, even if they’re printed in a newspaper. If we’re not dealing with facts, then it’s not a conversation – at best it’s the venting of the worst fears an untethered imagination can conjure. It’s like there’s no point in actually investigating and discussing the truth of things at all, or trying to understand why things are the way they are so we can deal with the problems at their roots. There’s just an unquenchable thirst for controversy and conflict, driven by a media that’s happy to present lies as “opinion” and damn those who call it out as opponents of free speech. More Kardashian updates might be the key to ratings points, but I just can’t live that way. I really think sometimes, that I’m going to end up unemployed, living in a shack in the bush, mumbling to myself about evidence and experts and facts, because the vitriol I receive from the Australian public when I do it in public makes me think it’s going out of fashion, like really quickly. I fear I’m fighting a losing battle, and making myself unemployable in my industry.